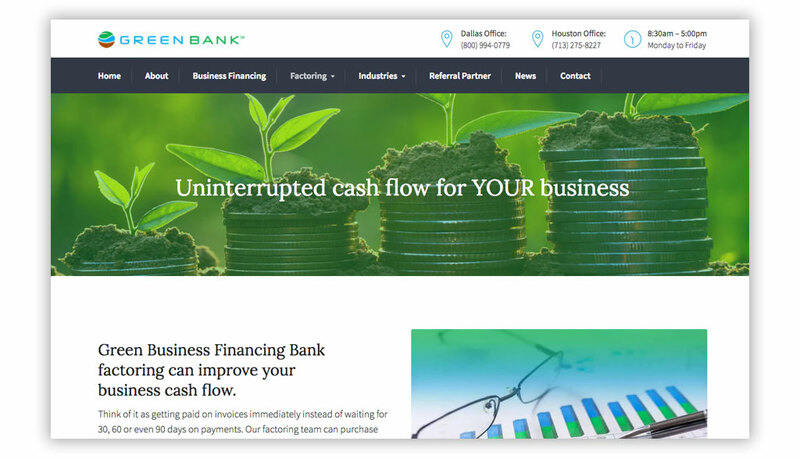 Green Bank’s factoring team, a division of Green Bank, N.A, provides customized accounts receivable purchasing programs to meet business cash flow needs. As a dedicated team, they work independently with every business to develop a program that meets their specific needs. 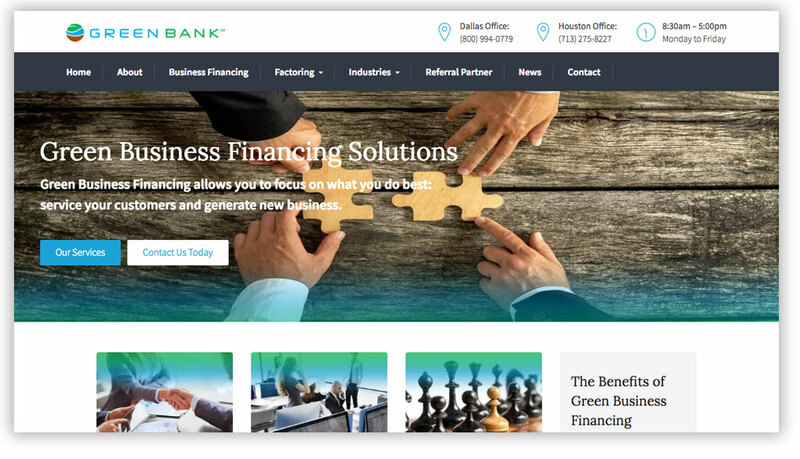 Empire was called upon to initially create the online web site and continues to work with the Green Business Financing Team to produce videos and on-going search marketing services.